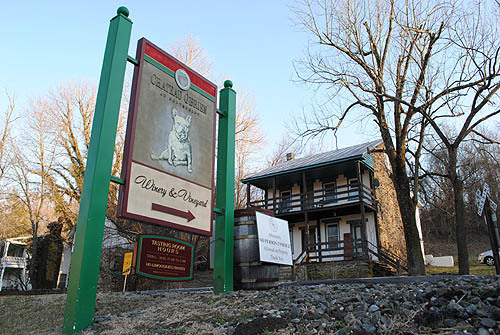 PARIS, Va. — History abounds in this picture-perfect hamlet snuggled in the crook of Ashby’s Gap, in the heart of Northern Virginia’s wine country. 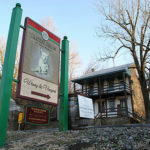 A young George Washington is said to have slept in the original Ashby Inn back when Paris was known as Pumpkintown, during his surveying trips for Lord Fairfax to the Virginia frontier west of the Shenandoah Valley. A century later, Gen. Stonewall Jackson camped here during the Civil War, on his way to the first Battle of Manassas. For more tactile tourists, there’s the aptly named American in Paris Antiques, a treasure trove of mid-18th- and 19th-century furniture, textiles, baskets, pottery and folk art. Central Casting couldn’t set up a more charming store. Head south on Route 17 or east on the John S. Mosby Highway (Route 5) and you’ll witness history of another sort — that of Virginia’s blossoming winemaking industry. There are almost a dozen wineries within a half-hour drive of the inn, which just so happens to house one of the region’s finest artisan restaurants; most everything is locally sourced from sustainable farms and purveyors. Stop here for lunch on a lazy Saturday, and you’ve got yourself one heck of a jumping-off point for a weekend getaway from Pittsburgh. Virginia’s wine scene is still fairly young, with the state’s oldest winery — Mountain Cove — dating to 1975. But it’s growing, both in size and reputation. The commonwealth today is the eighth largest wine-producing state — after California, New York, Washington, Pennsylvania, Oregon, Michigan and Texas — and many of its distinctive wines have won medals in Decanter magazine’s World Wine Awards (14 this year). Happily, most vineyards have tasting rooms where you can sample their Dionysian delights while nibbling cheese or other small eats, often while listening to live music or gathering with friends at a table in the vineyard. For a list, visit virginiawine.org. At Aspen Dale Winery at the Barn in Delaplane, for example, where a tasting with a food pairing costs $7.50, including a souvenir glass, we noshed on cheddar with a sweet rose, bison sausage with a peppery cabernet sauvignon, and white chocolate with an absolutely lovely sauvignon blanc. Our eyes, meanwhile, feasted on the architecture of the boutique winery in a 1785 barn on a thoroughbred horse farm. The food is a bit more substantial at mountainside Naked Mountain Vineyard & Winery in Markham. In cooler months, most everyone who visits succumbs to giant plates of the winery’s signature lasagna, perfuming the air of the chalet-style tasting room with the scent of roasted garlic. Open since 1982, it’s one of the oldest winemaking operations in the state, with the first vines planted in 1976. Its signature wine, and one that’s been served twice at the White House, is a chardonnay that’s fermented and aged in French and Hungarian oak barrels in the style of a classic French Meursault. People have been making wine in Virginia for centuries; one of the state’s most famous sons and White House occupant, Thomas Jefferson, had two vineyards at Monticello, his 5,000-acre plantation on a mountaintop near Charlottesville. Yet it was made from native grapes, as the region’s cold winters and hot, humid summers were as inhospitable to the delicate European vitus vinifera grapes he longed to grow as a small, sap-eating insect called phylloxera. Not that grapes native to Virginia were terrible; in 1873, a Virginia Norton was named “best red wine of all nations” at the Vienna World’s Fair. By the late 1800s, winemakers realized the secret to success lay in grafting native and European vines to create vinifera grapes similar to those grown in France: chardonnay, cabernet sauvignon, cabernet franc. But, alas, Prohibition in the early 20th century brought the blossoming wine industry to an abrupt halt. It wouldn’t be until the late 1950s, when experimental plantings of vinifera showed promise, that the industry — with the help from Virginia Tech’s enology department — took off. Today, grapes grow just as well in the granite-based soil of the west as the sandy loam in the east. By 1995, Virginia had 45 wineries. Ten years later, the number had more than doubled to 107. 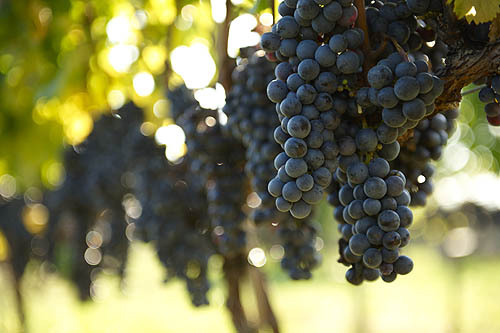 Today, there are nearly 200 wineries — some boutique, others selling to every major grocery in the state — populating six federally recognized American Viticultural Areas, or AVAs, from Vault Fields Vineyards in the Chesapeake Bay region to MountainRose Vineyards in the heart of Appalachia to Naked Mountain in the Blue Ridge Mountains, which has grown from four rows of vines in 1976 to six acres producing about 6,000 cases of whites and reds each year. Virginia also boasts 22 distinct wine trails in nine regions that make it easy for wine lovers to taste their way across the commonwealth, whether they’re in search of a fine merlot, a crisp cabernet franc or award-winning fruit wine. Stick to one, and you can easily hit a half-dozen or more wineries of varying sizes and with completely different personalities over a weekend. Eager to cram as many wineries into a 36-hour trip as possible while still allowing time for antiquing and eating, we focused on the Fauquier County Wine Trail, a collection of 16 mostly boutique wineries that dot the countryside between tiny Paris to the west, Warrenton to the south and Middleburg to the north. Viognier is rapidly becoming the state’s signature grape, as it can be produced as a dry, slightly sweet, late harvest or sparkling wine. 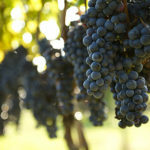 (Already, more than 70 wineries list this aromatic wine on virginiawine.org.) But winemakers also are experimenting with everything from malbec to merlot to pinot grigio. At Chateau O’Brien at Northpoint Winery and Vineyard in Markham, where 90 percent of the grapes are grown on site, you also can find tannat wine, historically grown in the Madarin region of France. Owner Howard O’Brien is extremely proud of this $79 bottle of red, which is fermented with wild yeast found on the skin of the grapes so as to heighten the character of the Virginia terroir. I have to say we were suitably impressed when he offered a taste in his copper tasting room. Wild yeast also factors into the making of the Native Yeast Chardonnay at Piedmont Vineyards near Middleburg, which we sipped at its quaint bar in what looked to be a former barn (built as a manor house in the 1750s, the property operated as a dairy farm between 1945 and the vineyard’s start in 1973). What we carried home with us, though, was the unoaked Hunt Country Chardonnay, a crisp white with hints of pineapple and citrus. You can’t spend your day surrounded by wine without also thinking about a really great dinner. And what a good one we got at L’Auberge Provencale, the luxury bed and breakfast in nearby White Post we overnighted in. Among the choices on the gourmet menu, which also includes a six-course tasting menu for $115 (wine pairing an additional $68 per person): Hudson Valley duck with baby romenesco; King Salmon Tartare with Yuzu truffle and wild foraged mushroom risotto with white truffle oil. Stuffed to the gill, it was hard work dragging ourselves out of bed the next day for an equally gourmet breakfast followed by a quick drive to Middleburg, where we spent the morning browsing specialty shops on Washington Street. So as to have something good to eat with all the Virginia wine tucked in our back seat, we also shopped for gourmet foods at the showplace Home Farm Store, a traditional butcher shop in a two-story 1924 stone building that housed the town’s first bank. Getting there: Virginia boasts nearly 200 family-run wineries in nine regions. We focused on ones along the Fauquier County Wine Trail in northern Virginia, one of 22 distinct trails that snake their way through the state’s six American Viticultural Areas. To our home base in White Post, it was about a four-hour drive from Pittsburgh. Where to stay: Virginia’s Hunt Country is full of charming bed and breakfasts and small inns, along with hotels and motels of varying price ranges. Two of the loveliest are the historic Ashby Inn (www.ashbyinn.com) in Paris and L’Auberge Provencale, an oh-so-romantic French country inn in White Post (www.laubergeprovencale.com). What to do: Sample the state’s many wines, naturally, which include everything from chardonnay and viognier to carbernet sauvignon, merlot and Norton, the oldest native North American varietal. (A Virginia native Norton that made its way to Missouri was named the “best red wine of all nations” at the Vienna World’s Fair of 1873.) Many are within 10 or 15 minutes of one another, so if you take it easy on the tastings, it’s possible to hit several wineries in one day. Tasting fees are generally about $5 and often include the glass. More information or a brochure: www.virginiawine.org or 1-804-344-8200. For those who’d rather let someone else do the driving: Virginia Wine Adventures (www.vawineadventures.com; 1-877-824-7273) offers guided tours. Prices start at about $125/person, including lunch. When you’ve tired of sampling: Virginia’s Hunt Country is jumping with antique stores (for a brochure, go to www.sundaydriver.com), wonderful restaurants (The Ashby Inn in Paris offers innovative, farm-to-table foods in an 18th-century setting), outdoor activities (bird watching, hiking, cycling) and historical attractions. If you’re into horses, for example, you may want to plan a visit to the National Sporting Library and Museum in Middleburg, or take in an equestrian event such as the Upperville Colt & Horse Show each June, the oldest horse show in the nation.